Preside conference furniture from HON can support meetings of all kinds. 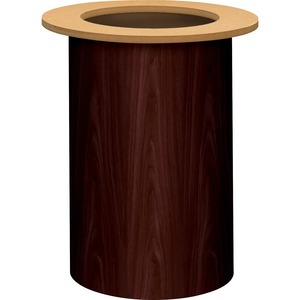 This cylinder base can be used under any rectangular, oval or boat-shaped table top. Number of bases depends on top length. 150 pounds of sand must be added to base for stability. Laminate color is Mahogany.